I seem to be stuck on "Bugs and Kisses" lately. 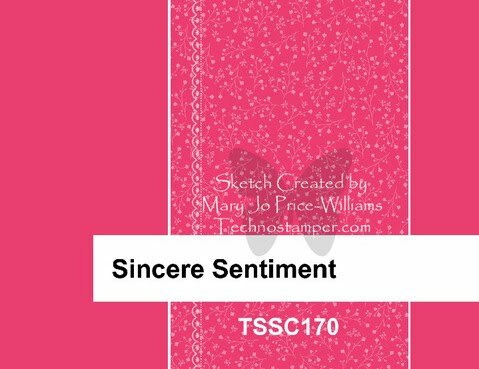 It's a very cute animal set, so it's not a terrible thing, but it seems to be my go to stamp set for a lot of different cards here lately! This card actually fits a lot of different challenges for this week. 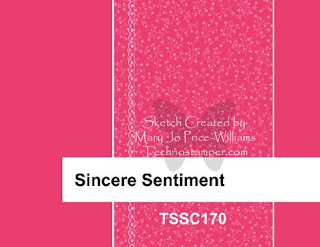 The sketch came from Mary Jo's Monday Lunchtime Sketch Challenge. This sketch is so versatile and is one I'm sure I'll come back to sometime. 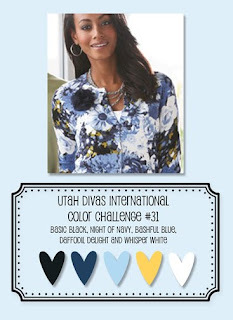 The color challenge came from Utah Divas International. Since they were the perfect colors for a boy card, I put them to good use. Finally, the Late Night Stampers challenge this week is to make cards and projects for babies! I can hardly wait for someone to have a baby boy so I can share this card with them! Cute card Angela... great summer stamp set! I just love this Angela! What a darling card. I will be casing this one for sure! Thanks so much for playing along!